Hillman’s ultimate southern belle, Whitley Gilbert, did more than expound upon her infinite wisdom of the finer things in life during her four years. This style and beauty maven was one of the first during the ’80s and ’90s to flaunt expensive “Chanel chic” designer labels and ritzy accessories. 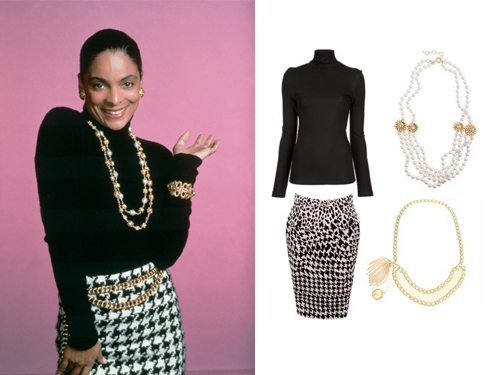 Whitley Gilbert epitomized dressing to the nines with an unapologetic elegance. No matter if she was going to “The Pitt” to catch up with friends or out with her boo Dwayne, Ms. Relax, Relate, Release was always impeccably dressed. A true icon, fashion was who she was.